The storms closed schools and snarled traffic, and they are likely to continue through the weekend. 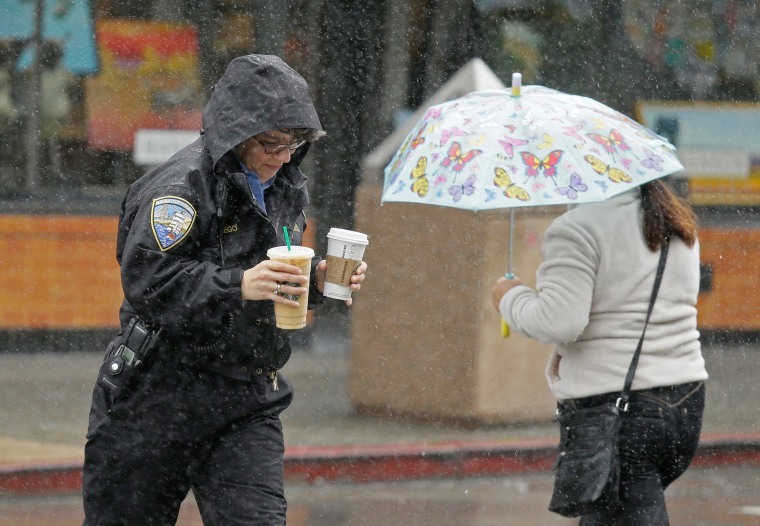 Two women take cover from the rain while crossing a street on March 10, 2016, in Sausalito, Calif. The ongoing deluge of storms in Northern California has swelled lakes and dams, boosting the prospects for outdoor recreation but likely falling short of ending the drought. 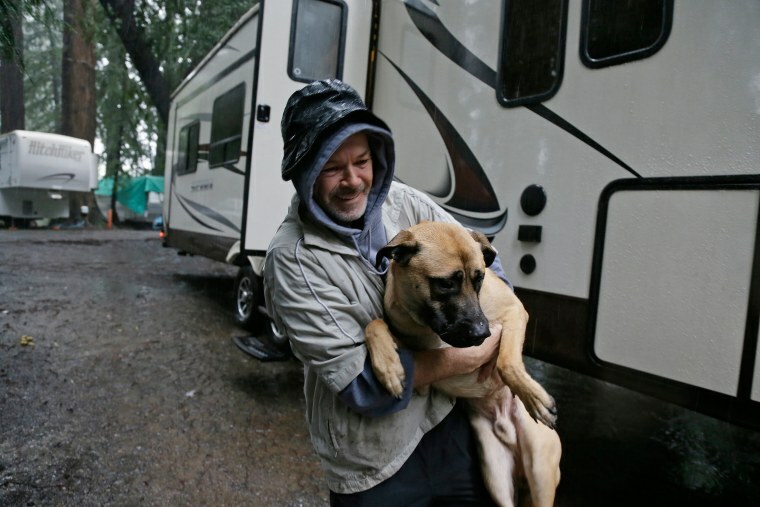 Dean James carries his dog Thol to his pickup truck before pulling his trailer out of a park near the rising Russian River on March 11 in Forestville, Calif. 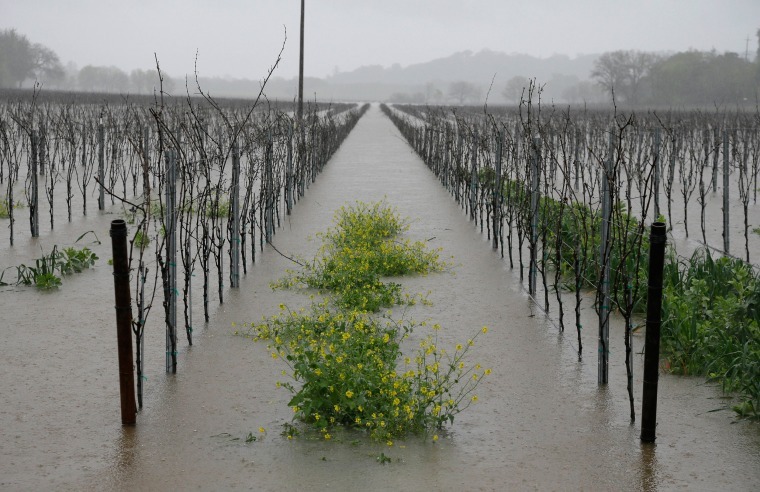 The lingering storms have funneled in copious amounts of moisture into the region, resulting in heavy rain that could contribute to flooding, mudslides and rockslides. A Caltrans dump truck is nearly toppled by a mudslide along California Highway 1 in Mendocino County, Calif. on Friday, March 11. 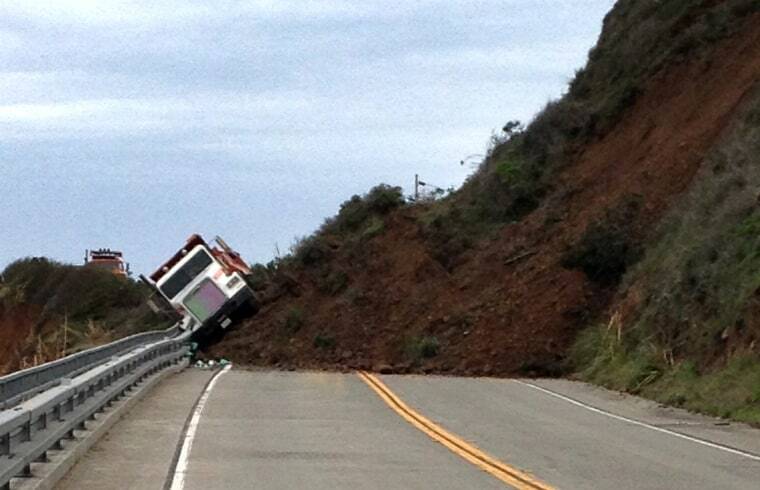 The highway is closed indefinitely after the overnight slides. 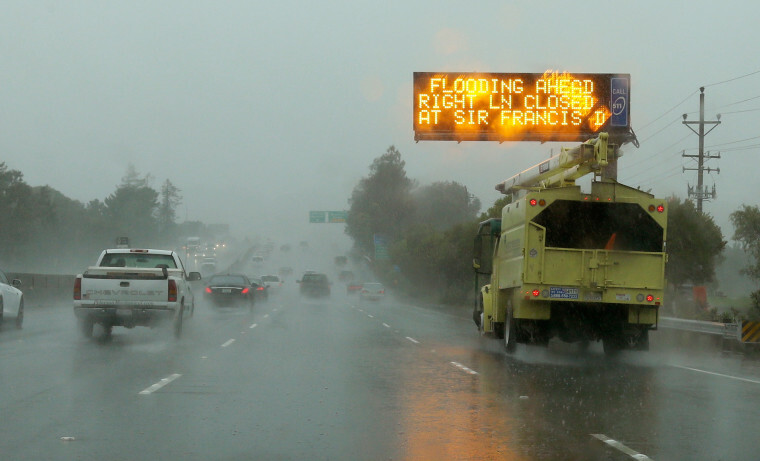 A sign warns motorists of flooding on Highway 101 on March 10 in Corte Madera, Calif. 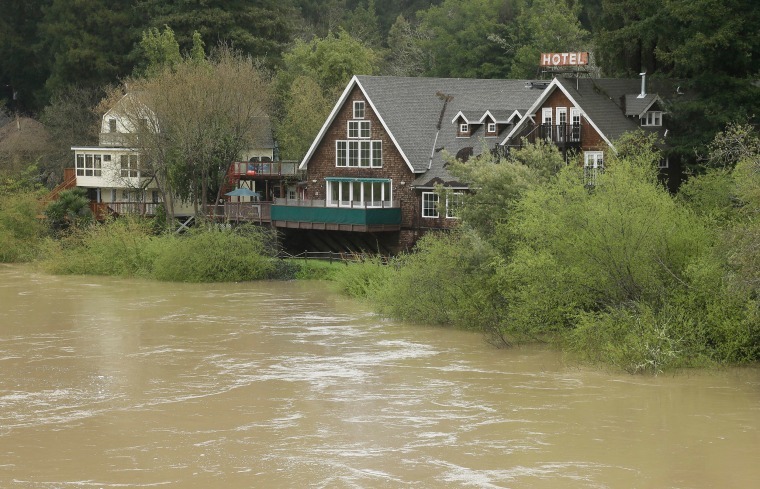 The Russian River rises closer to the back of a hotel in Monte Rio, Calif. on March 11. 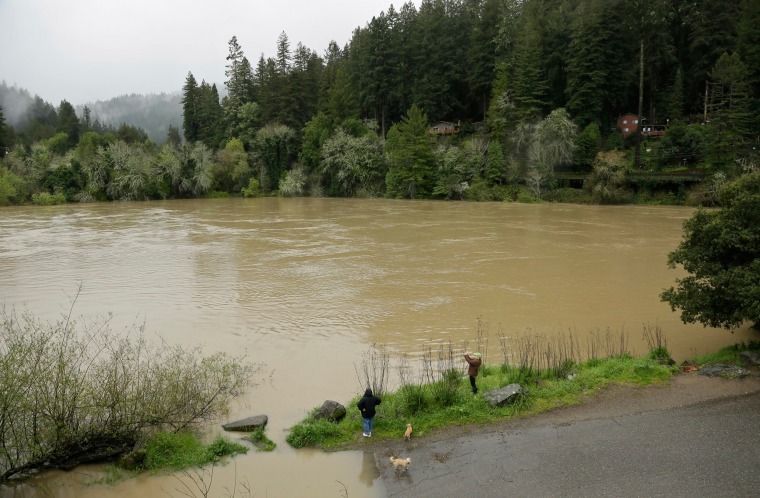 Two women watch the rising Russian River flow by on March 11. 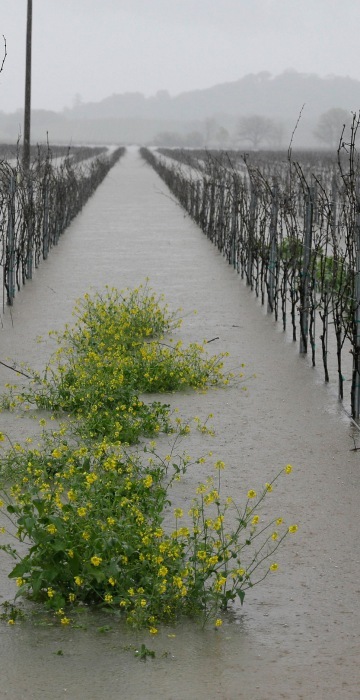 Mustard stands in between the rows of flooded vineyards in Forestville, Calif. on March 11. 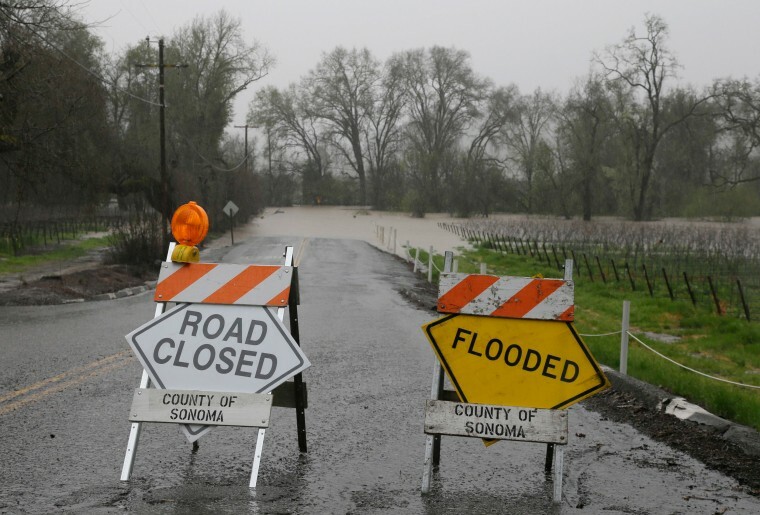 A road remains closed due to flooding in Forestville, Calif. on March 11. National Weather Service says that the wet weather could continue into Monday. 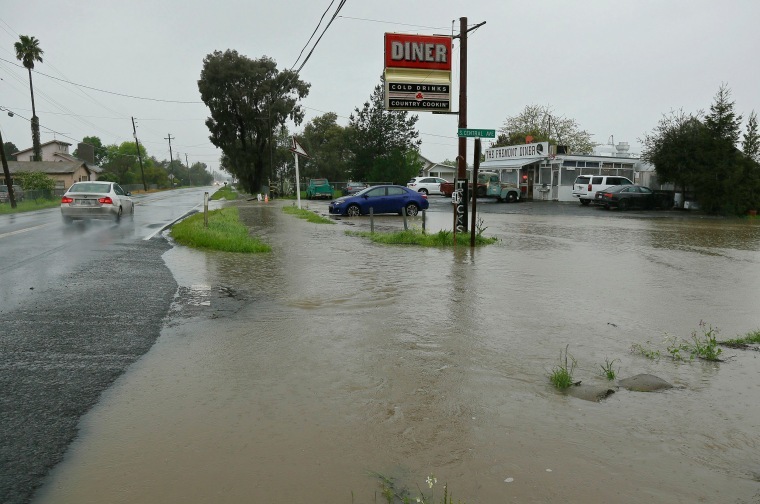 Runoff from heavy rain flows into the parking lot of the Fremont Diner in Sonoma, Calif. on March 10. 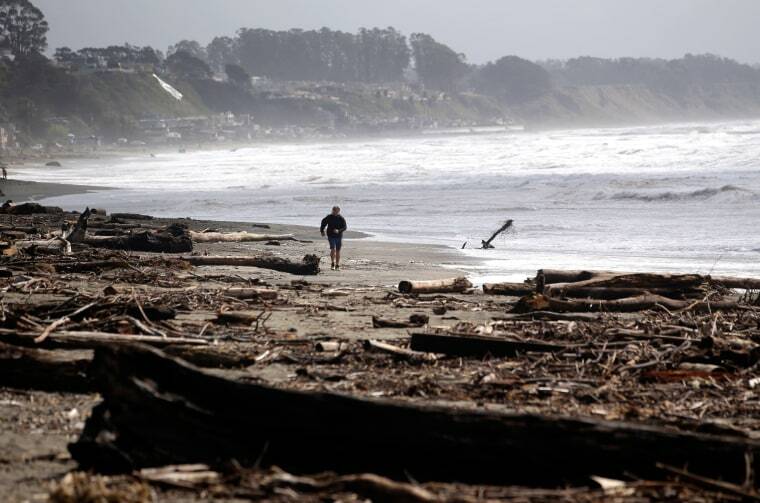 A runner jogs on the beach among debris left behind by the storms at Seacliff State Beach in Aptos, Calif. on March 11. 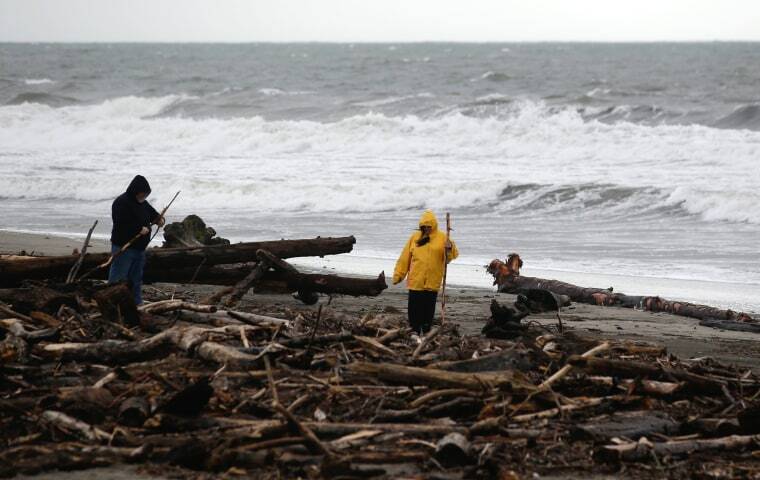 People sift through debris dumped on the beach by recent storms at Seacliff State Beach in Aptos, Calif on March 11.